Be a part of a sporting experience like no other! Over the last decade, the Women’s Flat Track Derby Association has provided sponsors with valuable partnerships to access our passionate roller derby audience and community. The International WFTDA Playoffs and Championships are the premiere roller derby competition and viewing events each year, and give WFTDA sponsors and advertisers the opportunity to engage directly with athletes and fans around the world at each of our events. The world of roller derby is waiting for you! Over 75K tickets have been sold to Playoffs and Champs. 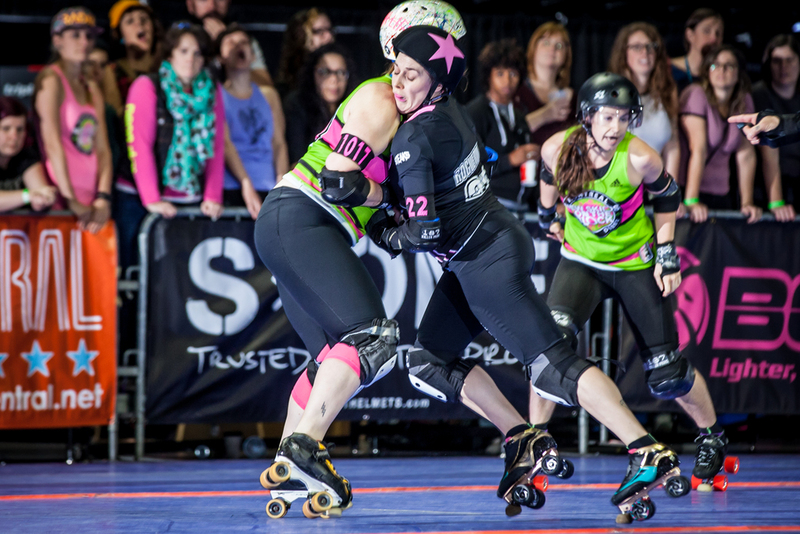 More than 3.2M minutes of Roller Derby Playoffs and Champs have been watched. 62% of our viewers surveyed are active purchasers from WFTDA promotional sponsors. WFTDA.com & WFTDA.tv hold an average of 43K hits per month. Our Social Media has grown to reach an audience around the world of over 2.5M. Explored the world of Twitch Free Streaming and reached 54K viewers. Made impressions in 129K US households via our live broadcast on ESPN2. for assistance in booking your package!